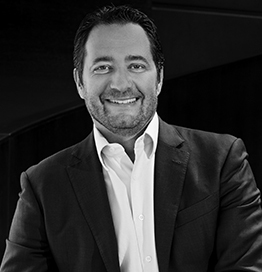 Julien Tornare, 45 years old and born in Geneva (Switzerland), is the CEO of Zenith and one of the youngest CEOs of the luxury watch industry. Active for nearly two decades in the watchmaking sector, he initially worked at Raymond Weil for two years before spending the last 17 years at Vacheron Constantin: first as market Head for Switzerland, subsequently as the Brand’s US Director, and most recently as Managing Director for Asia-Pacific – a region where he helped grow the number of boutiques from 3 to 13. Tornare is now focusing on the renewal of Zenith which deserves a return to a centre-stage role. His vision is to rejuvenate and inject new energy through innovation – a quality firmly embedded in the DNA and history of a 152-year-old yet undeniably contemporary brand driven by a resolutely start-up spirit.